In web-based business, everyone wants to increase traffic to his/her site/blog by applying different tricks and tips. It helps them to boost the SEO ranking of their sites/blogs on different search engines, generate sufficient business opportunities and meet the ultimate goals of their businesses. One way to increase traffic to websites/blogs is to revive the popular old posts and make them go viral. Fortunately, for WordPress website/blog owners, a number of plugins are available for this specific purpose. When you create and upload content on your website/blog on a regular basis, some of your content go viral within a short time span and they fascinate visitors over a long period of time because of their highly usable content. Do you want to make the most use of such content? If yes, then use this plugin. This plugin will help you to promote your content easily by sharing them to over 200 of the most popular social networking and bookmarking sites. 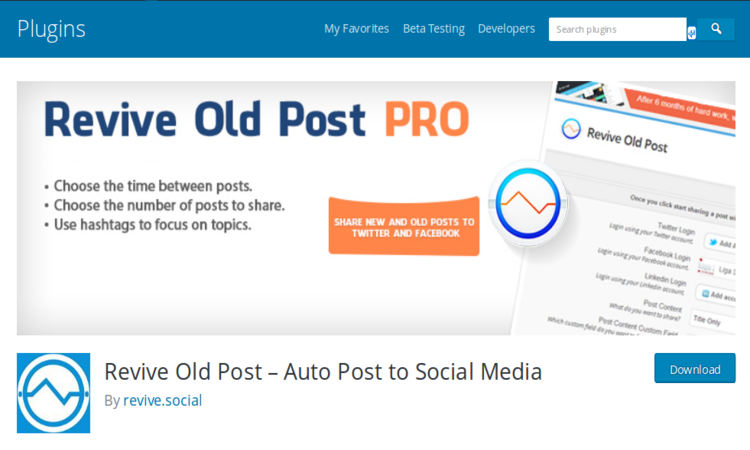 Revive old post is an amazing and advantageous plugin for social media optimizers who handle social media channels of WordPress websites/blogs. It automatically shares your old posts (based on your setting) to different social media channels, keep them alive and help you get more traffic in an easy way. It is a powerful tool for content promotion. The plugin is available in free and premium version. If you need to use more features of this plugin, go for its premium version. Facebook is a popular social media website which is widely used for content promotion. 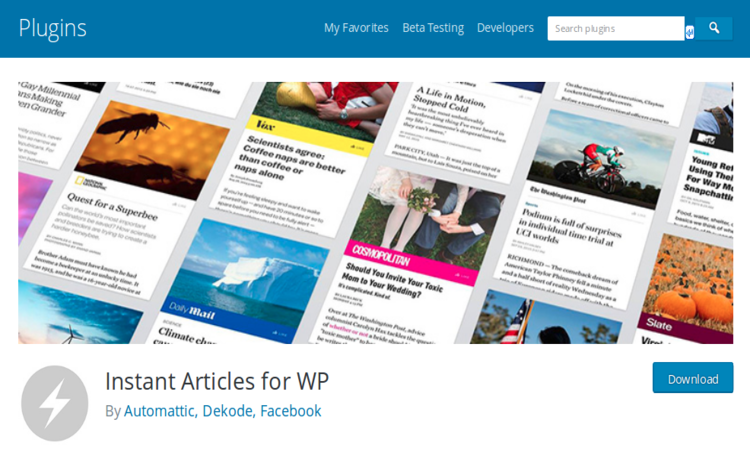 Instant Articles for WP helps you to setup your WordPress site for Facebook easily and get more likes and shares (for your content) in an easy way. It brings more traffic to your website and helps you to increase your Facebook Page reach up to a great extent. 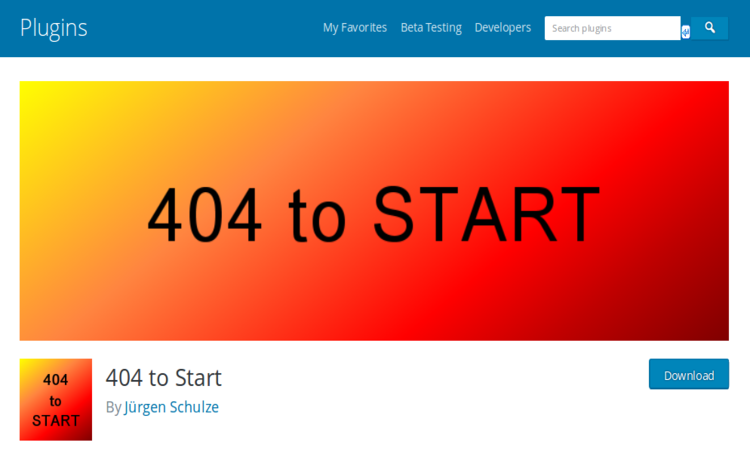 Are you troubled with 404 pages on your websites? Want to fix them easily and quickly? If yes, then use this plugin. It will help you to redirect all 404 pages permanently or temporarily to other websites, web pages or any other place you want. It helps you to do away with the problem of external bad links. If you want to move 404 pages temporarily to other location-use 302 and 301 to Move them permanently. All website/blog owners are well aware of the benefits of internal linking in SEO. It improves the visit of search engine bots on your website and benefits it tremendously in terms of SEO ranking. 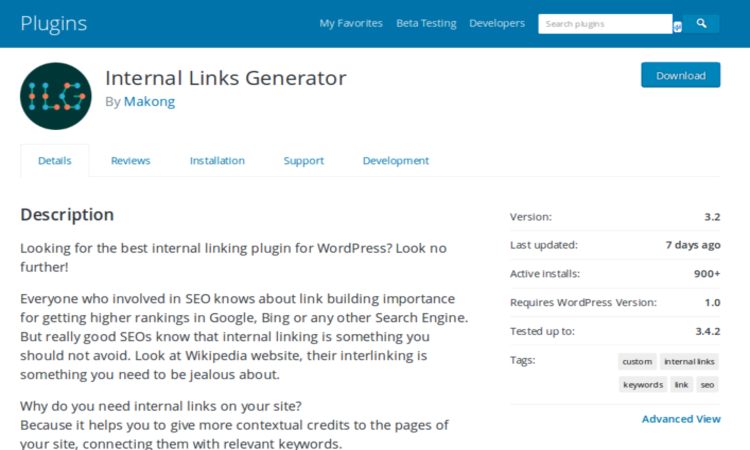 If you want to implement internal linking properly on your site, then try this plugin. It will help you to improve the readability of your content up to a great extent and make them go viral once again. Social networking and micro-blogging website Twitter is widely used in SMO activities. 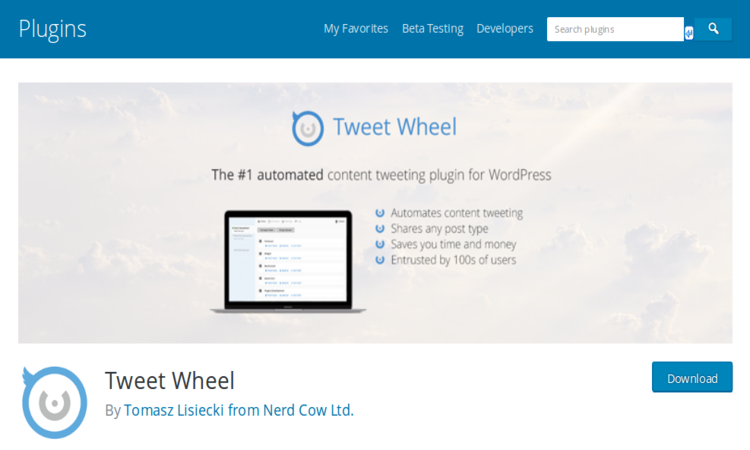 If you want to get more traffic to your old posts using Twitter, then use the Tweet Wheel plugin. It automatically shares your WordPress posts, pages, etc, on Twitter and helps you to earn more followers and drive more traffic easily without requiring any supervision. 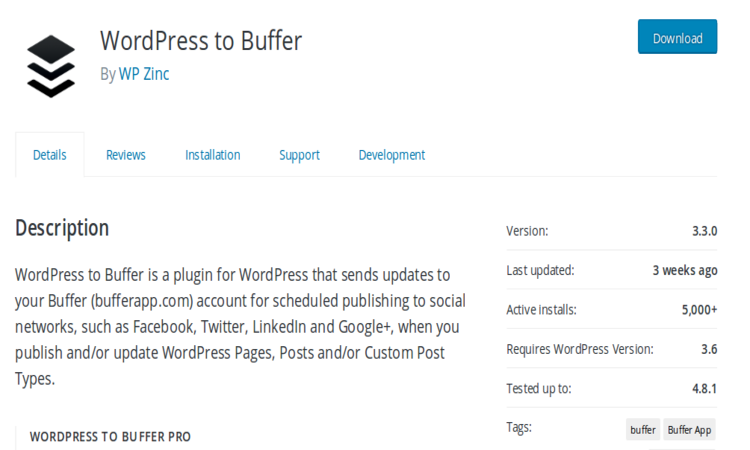 If you are looking for an appropriate tool to manage your social media updates easily, then use this plugin. Using it, you can easily schedule your messages to be posted to your favorite sites at the right time and generate more leads from social sites. Generally, when visitors land on your site, they read the desired content and go away instantly. There is no guarantee that they will come back to your website once again in the future. But, if you suggest relevant content to them, it may boost the overall readability of your site’s content and restrict its bounce rate up to a great extent. You can use this plugin to fulfill this purpose. It automatically suggests the similar post to visitors based on their current entry and encourages them to spend more time on the site. The plugin has an advanced and versatile algorithm, which takes note of post titles, content, tags, categories, and custom taxonomies and display the similar content accordingly. Evergreen old posts on your site are of great use. You can make them go viral once again using the above-mentioned plugins and generate leads/sales easily. Just use them as per your specific needs and experience amazing results instantly. Hi Brandon Graves – Thank you for sharing about the WordPress plugins to get more traffic on old posts. I think these plugins are really helpful to post automatically. The only thing is that we just need to set timer. I have no doubt that these are the most powerful plugins for promoting our old post. 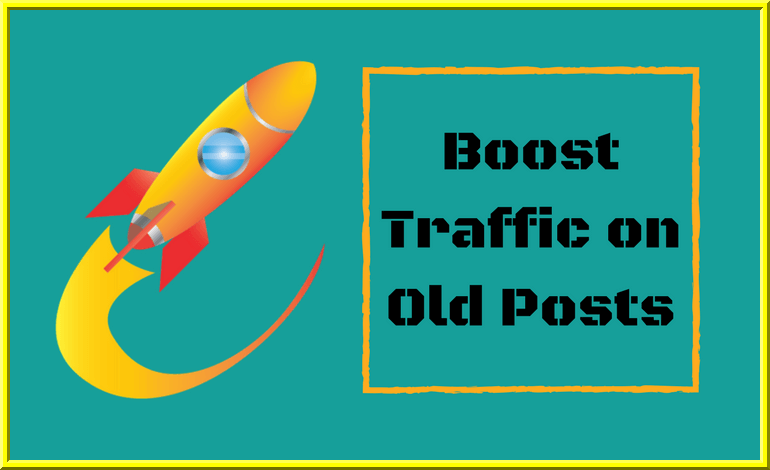 This is a big fact that WordPress get less traffic on old posts as audience always prefer to read new & latest post, But this is really a nice idea to get traffic on old post while using these WordPress Plugins ! Hey dear thanks for sharing this useful article here. Please keep sharing these and help new Bloggers to grow.